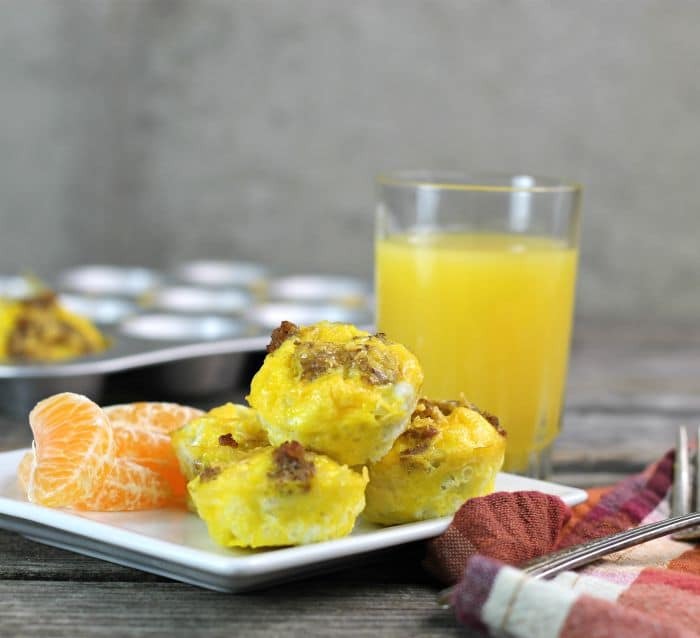 Mini Breakfast Casserole Muffins made with hashbrowns, eggs, breakfast sausage, and cheddar cheese little bites for breakfast. 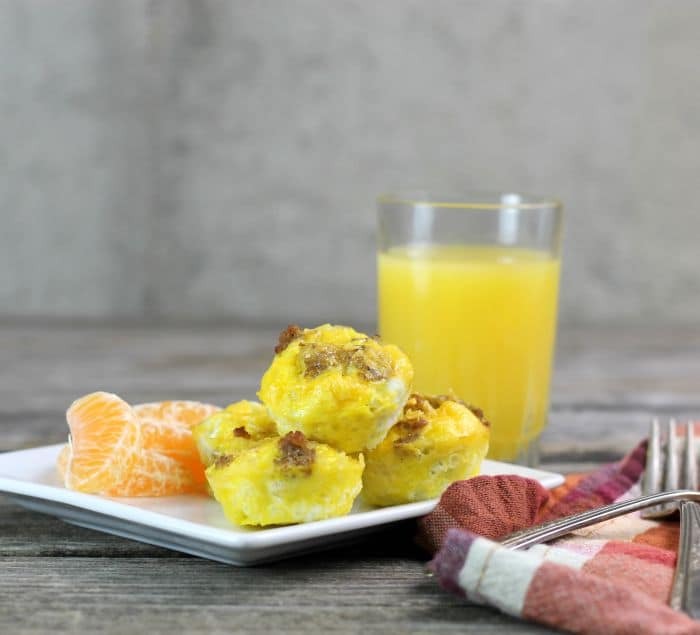 Mini breakfast casserole muffins have the same taste as the big casserole dishes, but they come in fun little bites. I talk about breakfast a lot on my blog, it’s because I love breakfast and I love breakfast foods. I am one of those people that can eat breakfast foods at any meal. Breakfast casseroles are always a favorite in our home. I like making them for the kids when they are at home visiting. There is never any complaining when I set one of these casseroles on the table. I have even made them for bridal and baby showers. Tasty stuff. I like the fact that they come together quickly and you can even make them the night before if you are going to be in a rush in the morning you are serving them. What not to like about them, right? But then on the other hand… as empty nesters now Mike and I could never finish off a whole breakfast casserole. Really, it would take us forever. That got me thinking, why not try making them in muffin tins. Actually mini muffin tins, I love making bite-size foods. They’re so much fun to eat. Plus these are easy to freeze for a later date. They’re great on those mornings when you are in a hurry and don’t have time to make something nutritional. Just pop them in the microwave to heat them up and you have something tasty in seconds. The ones that I made for this post today are simple ones. They feature hashbrowns, eggs, breakfast sausage, and cheddar cheese. You can change these up and put your favorite ingredients in them. For example, ham, bacon, spinach, and the list could go on and on. Brown the breakfast sausage and crumble into small pieces. Cool slightly. Preheat the oven to 350 degrees F. Spray 24 mini muffin tins with a non-stick cooking spray. Divide the thawed hashbrowns between each of the mini muffin tins. Top the hashbrowns with the sausage. Add the eggs and milk to a bowl or a measuring cup (that you can pour the eggs from into the tins) and beat with a fork or a whisk until well blended. Pour enough of the egg mixture so it about 3/4 full or a touch more. Sprinkle with the shredded cheese. 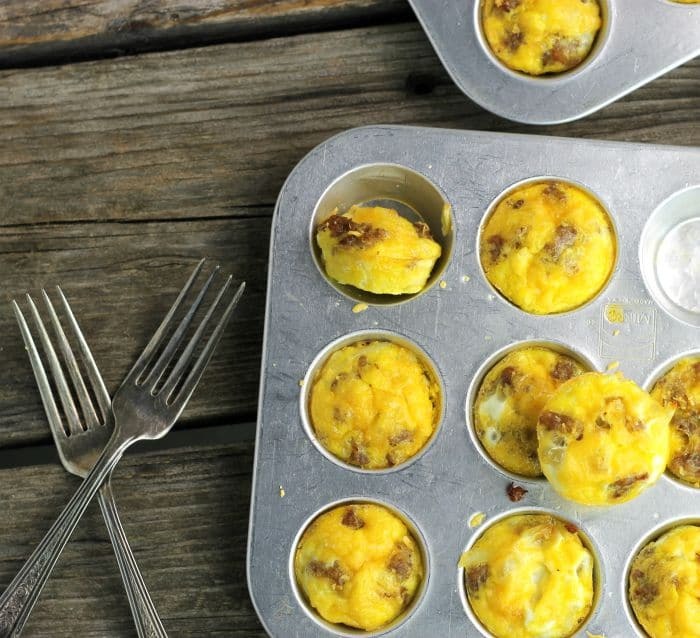 Place the muffin tins into the preheated oven and bake for 15 to 20 minutes or until the eggs are firm. Remove from the muffin tins and enjoy. These mini muffins are perfect for any meal! Yum! 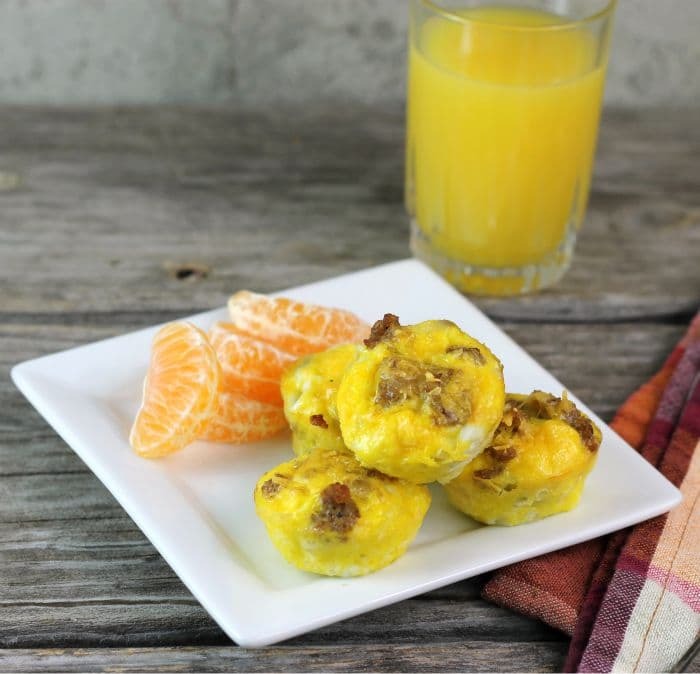 I’d love a stash of these on hand for a quick and yummy breakfast! I love breakfast, too, Dawn! It seriously is my favorite meal of the day, and I often eat a scrambled egg and toast for a quick lunch, too. I’m thinking I should try some of these casserole muffins, though. What a great idea to avoid making a huge casserole! 🙂 Looks delicious, my friend!